When you are constantly told that you are worthless and that you are destined for the most menial, degrading and dehumanising work, you need hope and opportunities. We provide opportunities for vocational training in viable skills. As well as providing technical knowledge and skills in subjects such as tailoring and embroidery, dairy farming, goat and pig rearing, courses also cover entrepreneurial and basic money management. LAMP grants are often available to help people set up small businesses where they can use their newly acquired skills to earn a livelihood. 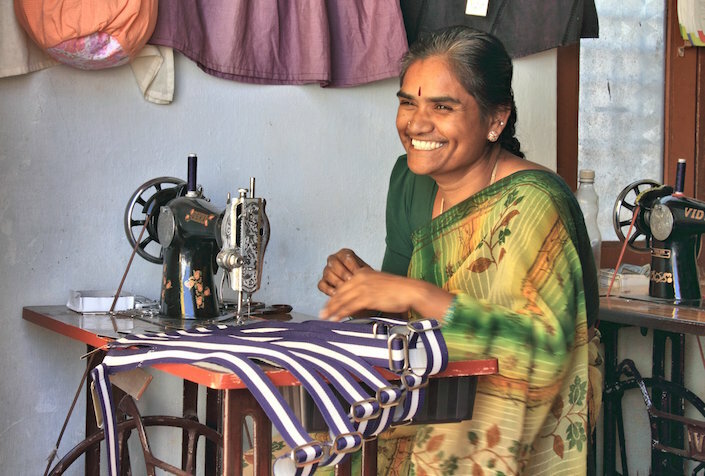 For example, a grant for a sewing machine can help tailoring course graduates set up a garment repair business in their village. Vocational training courses often arise from the community development work of our schools. They operate in the community using locally based trainers. We want to provide more vocational training opportunities to give hope to the poor and marginalised.